Z.Vex Vexter Fuzz Factory Fuzz Guitar Effect Pedal. Condition is Used. Shipped with USPS Priority Mail. You are buying one Z.Vex Effects Woolly Mammoth Pedal Factory Scratch & Dent. Rockcessories is the only authorized Factory Scratch and Dent dealer. Rockcessories is an authorized Z.Vex Effects dealer. We can get any Z.Vex item, even if we don’t currently have it listed. Z.Vex's fuzz "MASTOTRON" has arrived! There is the possibility of rust, fading, scratches, cracks, dents, etc. 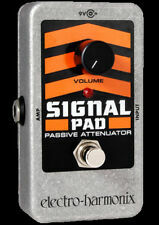 You are buying one Z.Vex Effects Vertical Fuzz Factory guitar effects pedal. It is new, and in the box. Rockcessories is an authorized Z.Vex dealer, and we can get all Z.Vex products whether we have them currently listed or not. Z.Vex Vexter Fuzz Factory Enclosure Chassis Only. Great for putting your clone inside. EMS is safe, fast (approx. Ishibashi Music Corporation. ). 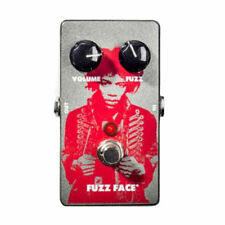 You are buying one Z.Vex Effects Silicon Fuzz Factory Pedal. It is the latest in the Fuzz Factory series. 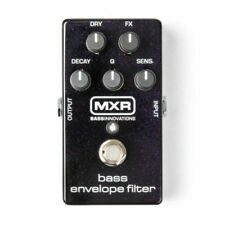 Rockcessories is an authorized Z.Vex Effects dealer. We can get any Z.Vex item, even if we don’t currently have it listed. Play condition is good. No playability issues. EMS is safe, fast (approx. Ishibashi Music Corporation. ). Rockcessories is the only authorized Factory Scratch and Dent dealer. 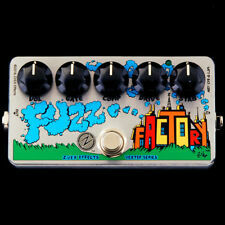 You are buying one Z.Vex Effects Vertical Fuzz Factory Factory Scratch & Dent guitar effects pedal. It is new, and in the box. Rockcessories is the only authorized Factory Scratch and Dent dealer. EMS is safe, fast (approx. Ishibashi Music Corporation. All Right Reserved. ). Z.Vex Effects Vexter Series Fat Fuzz Factory Effect Pedal - Ships Intl.! The Fat Fuzz Factory features a sub switch that opens the pedal up to an astounding new bottom end. Many "incorrect" settings on this pedal squeal. This may annoy the faint-hearted. If you use the example settings (below), you won't get hurt. Make Model: Z.Vex FUZZ FACTORY GEMS. We update our information daily, but there is still a chance this may occur. EMS is safe, fast (approx. Accessories: box, cloth, rubber closure. Condition: Very Good No problems with normal use. ). There is the possibility of rust, fading, scratches, cracks, dents, etc. Although there is a feeling of use,there is no problem in operation. [Owner's Manual]: None. There is the possibility of rust, fading, scratches, cracks, dents, etc. Although there is a feeling of use,there is no problem in operation. We are happy to provide the best solution for you. It also features Jason Myrold's hand paint and DC jack. There is the possibility of rust, fading, scratches, cracks, dents, etc. Although there is a feeling of use,there is no problem in operation. The Vexter Fuzz Factory is identical in construction to the newest hand-painted Fuzz Factories, including a DC power jack and on/off LED indicator. klassischer 60s Fuzz Sound. Weitere Ansichten.